Colonial Roofing can replace or repair your metal roof shingles. Have metal roofing issues in Virginia such as a leaking roof or broken roof? Standing seam metal roofs are both gorgeous and energy efficient. They can come in aluminum, tin, galvanized steel, or copper. These roofs can last between 40-60 years! For commercial roofs, residential roofs, and industrial roofs, a metal roof provides a durable and long lasting option. The expert contractors at Colonial Roofing can answer all of your roofing questions. We do roofing Richmond VA! Consider an eco-friendly option that will last for decades. We are a Class A licensed Richmond roofing contractor. Expert and honest advice is just a call away. Roof Repairs can be made to your metal roof. 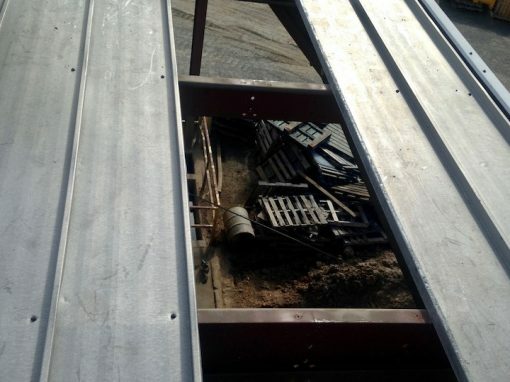 We will make sure to match materials, fill nail holes, and that way you won’t have leaks or corrosion. We strive for happy customers. Our craftsmanship is unparalleled. Check out a few of our roofing testimonials. Colonial Roofing is located in Mechanicsville VA, so we are centrally located to many Virginia homes and businesses. Driving all over Virginia is not uncommon for us. 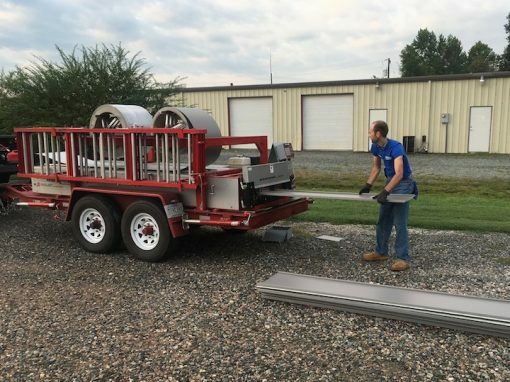 Commercial and industrial clients typically have service contracts for quarterly roof maintenance, so we are truly a local roofing company because we can drive anywhere in Virginia. Call Colonial Roofing Co today!